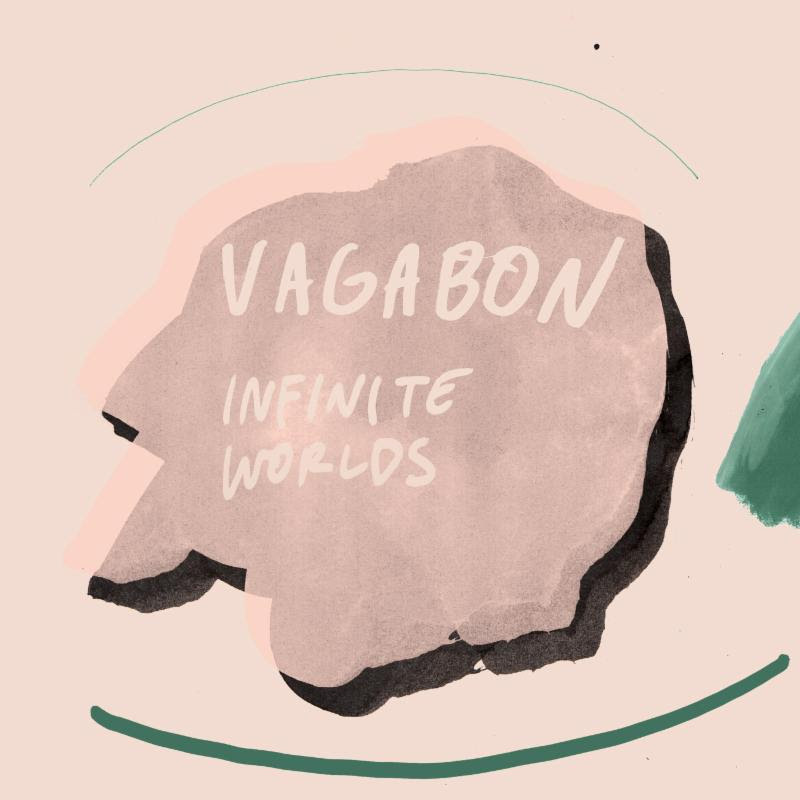 Fire Note Says: Vagabon delivers an emotionally superb debut. Album Review: Rarely anymore does a debut album get me revved up but that is exactly what happened the first time I heard the songs of Cameroon-born artist Laetitia Tamko, aka Vagabond. 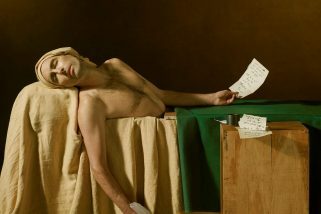 Infinite Worlds is an album of finding herself with no musical boundaries and that is the beauty of her record. At times, Infinite Worlds oozes confidence while around other corners it offers that uneasy feeling you get when you don’t know what is on the other side of the door but you need to walk through anyway. 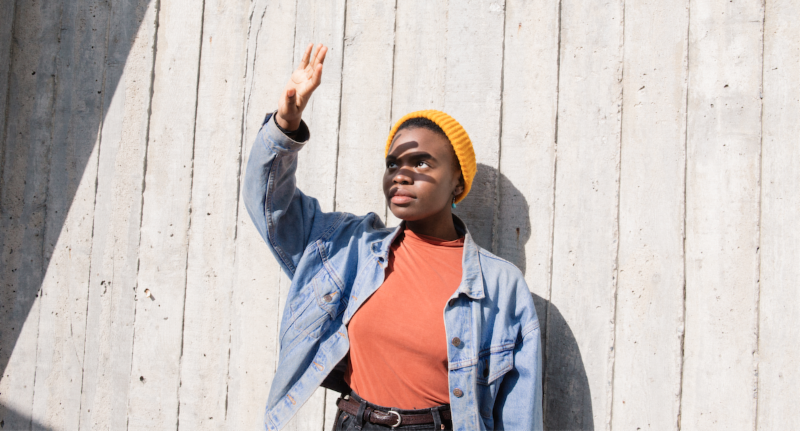 Vagabon offers different moods and styles with each track. The opening song, “The Embers,” shows her talent right off when the soft opening quickly is surrounded by big drums and guitar as she sings out “Run and tell everybody that Lætitia is – A small fish.” “Fear & Force” picks right back up this soft lyric delivery, when out of nowhere the track flexes its muscles and crashes into you like a wave for a mere 27 seconds but that is all it takes to win you over. After three tracks, you almost feel like you have Vagabon figured out until “Mal à L’aise” leads you down an over 5-minute synthesized dream pop path that uses samples and some very faint background spoken word that works through the title’s French meaning – “discomfort.” This type of track would typically lose my focus but on Infinite Worlds it is a focal connecting point that bridges the energy. The second half of Infinite Worlds is just as rewarding as the first half because the just under 30-minute record closes with the same spirit and energy that it started with. The bursting out guitar of the short “100 Years” reminds me of an old Belly track, while the building “Cold Apartment” is a highlight, as you can hear the relationship stress of the last lines “And we sit on my cold apartment floor / Where we thought we would stay in love / Stay in love.” Lastly, you get the acoustic ballad with layered vocals, “Alive And A Well,” that includes the “leave it all on the table” final lines “The well is all dried up / No more water to give.” The good news is that even though Vagabon has given her all – we can put the needle back on side one and go for another journey!